In the initial phase of my research work under the Ila Dalmia FICA Research program I received a couple of levelheaded feedbacks from Bhooma Padmanabhan and Vidya Shivadas, both of them belong to FICA team. 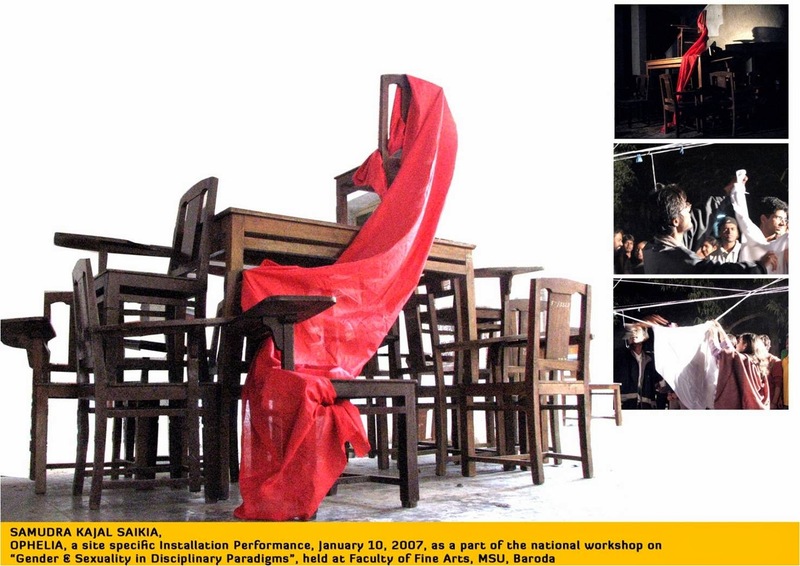 Bhooma, curator and art writer, wrote to me: “I felt that a small framework explanation by you on how you are approaching the task of ‘archiving’ performance art would be useful. It need not be conclusive but at least pointing to how you have begun the task.” Considering Bhooma’s Suggestion, here I am trying to put forward few of the thematic concerns behind the archival tasks that I have taken forward. It is understood that, the tactile part of the process (“archiving”) is time consuming, cost indulging and wide ranging enough. Here, instead of going to the details of personal investments in meeting the practitioners, photo documentations, exploring other archival resources it would be better to focus on the conceptual grounding at the onset. 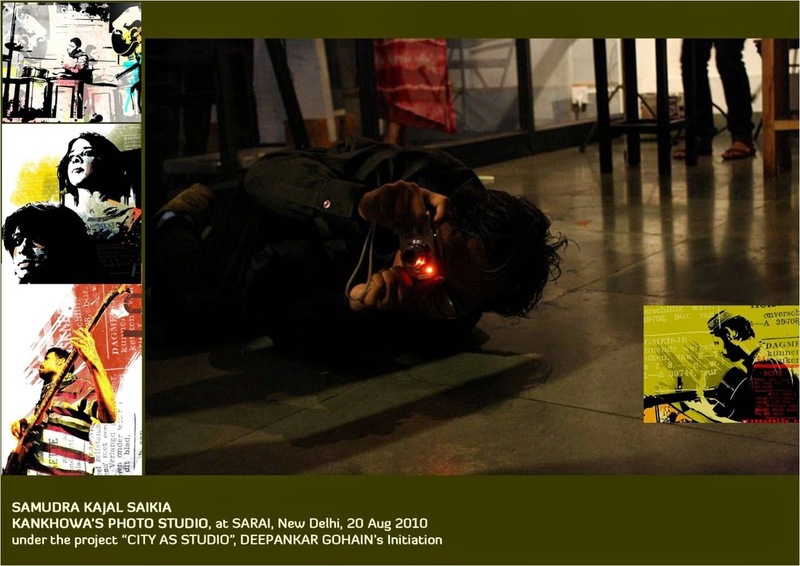 As the current area of work is a part of a larger project that tries to look at the contemporary performance art in India and to examine the methods of historiography critically, it is obliged to be multifaceted and conjunctional with cross-disciplinary methods. The archival methods and processes are very much dependent on the prime concerns of the proposed research initiative that I am justifying elsewhere. To make the concerns precise, as much as possible, in the time of collecting materials [study, enquiry, personal interview and so on] during the research period, I come up with a set of five Pillars. The previously uploaded interview “Conversely Conversed” with Manmeet Davgun was unedited and broad ranging, that address the entire region of the subject and it’s work. But the pivotal methods taken by me ahead are essentially based on the proposed five Pillars. [E]very performance ultimately meets the video screen, where the demystified subject is frozen and dies. There, performance once again encounters representation, from which it wanted to escape at all costs and which marks both its fulfillment and its end. “Fe’ral notes the irony in the fact that conceptual performance constructed its own history by means that are antithetical to its integrity as performance: “with the help of the video camera with which every performance ends, it has provided itself with a past” (1982:175). When Sonia Khurana does a video work like "Bird" and when she puts a photography-based work "Re-take of Bird" there is a formal mediumistic shift. Now how to see this? A visual documentation either in stills or in moving images may be read as a work in itself. The 're'-presentation is also a work in itself. To extend the matter, when a performance artist goes for a performance how much the concerns around documentation matter in his/her mind? What a role played by the post production concerns? Other than the time-and-space specific ephemeral experience do the visual appeal of the later documentation make the artist conscious? "As a young artist in the '70s New York downtown scene, I was pretty sure that we were doing everything for the first time, that we were inventing a new art form. it even had a clumsy new-sounding name "Performance Art", and critics and audiences struggled to define this "new" hybrid that combined so many media and broke so many rules about what art was supposed to be. So when RoseLee Goldberg's book Performance: Live Art 1909 to the Present was first published in 1979, I was completely amazed to find that what we were doing had a rich and complex history. "(p6, Foreword). (4) a formalistic experiment that tries to push further the margins of art-practice towards a larger/different spectatorship. 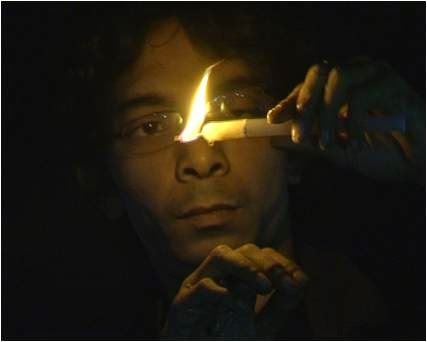 In Indian context, it is still ambiguous to trace a historical account on the emergence of performance and media art. Here are my queries in front of “Indian” “contemporary” performance art practitioners: How does one look at the ‘self’ in this regard: how one has chosen the medium(s). Secondly how does one see the Indian art scenario in this regard? Where the Performance Art is highly subjective, can a critique on it be ‘objective’? is it possible to write a non-subjective history of it? Historically, performance art has been a medium that challenges and violates borders between disciplines and genders, between private and public, and between everyday life and art, and that follows no rules. We have been witnessing emerging eagerness in the practice in Performance as art in current times. Moreover a number of practitioner artists are frequently taking initiatives in ‘training’. The much celebrated names like Inder Salim and Sonia Khurana are mention worthy in this regard. 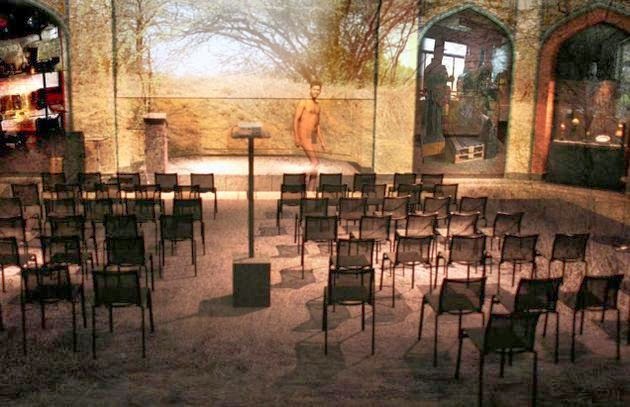 By the time the establishment of a department on Performance Art in the School of Culture and Creative Expressions, Ambedkar University of Delhi in another important point. Here raises multiple takes on the "Training" and "Teaching" of performance as art. The core problem lies in the ambiguities around the definition itself as we know that a concrete definition of 'what exactly is performance art' is still missing. In that case what are the methods to be implied in the pedagogy? Most of the times Performance Art, the term, itself denies to be considered as a ‘discipline’, and if this assumption is true, how could a school or a methodical training applicable to it? "To be a performance artist, you have to hate theatre. Theatre is fake: there is a black box, you pay for a ticket, and you sit in the dark and see somebody playing somebody else's life. The knife is not real, the blood is not real, and the emotions are not real. Performance is just the opposite: the knife is real, the blood is real, and the emotions are real. It's a very different concept. It's about true reality." Sometimes while saying about something 'what it is', we tend to speak of 'what it is not'. In case of performance as art, there is a tendency of distinguishing Performance from Theatre, Dance or other 'Performing art' forms. Here emerges a broad discourse on the relationship vis-à-vis contradictions between the performing and the performance, entertaining and the subjective and so on. The issues around spectatorship also spring up here. For feminist artists in particular, using their body in live performance proved effective in challenging historical representations of women, made mostly by male artists for male patrons. The Body- "as a measure of space, of identity and of narrative" remained so central in performance art practices. In Indian case also, performance art has been emerging with a note where the body remains a prime "tool of art making". The inclination towards the “bodily presence” is the fifth Pillar. Elaborated writings on these five pillars are to be updated in near future. Philip Auslander, Going with the Flow: Performance Art and Mass Culture, TDR The Drama Review, publish by MIT Press, N.Y. University, Tisch School of Arts, Summer 1989, Edited by Rechard Schechner. P. 119. RoseLee Goldberg. Performance: Live art since the 60s, New York: Thames & Hudson, 1998, page 20.